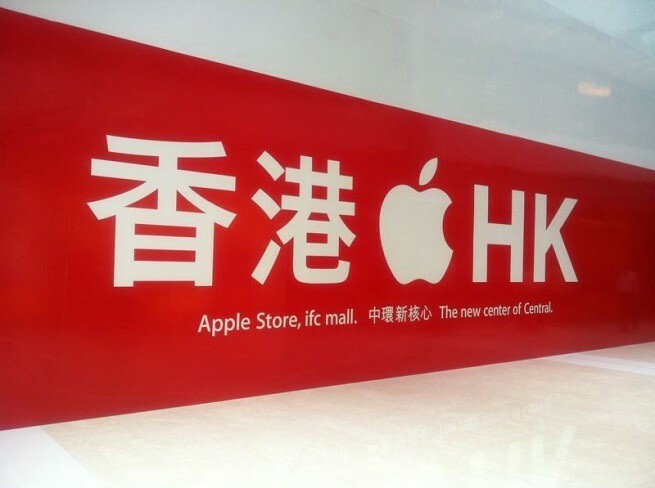 iSHSHIT: Wraps come off Flagship Hong Kong Apple Store at IFC center Update opens Sept. 24! 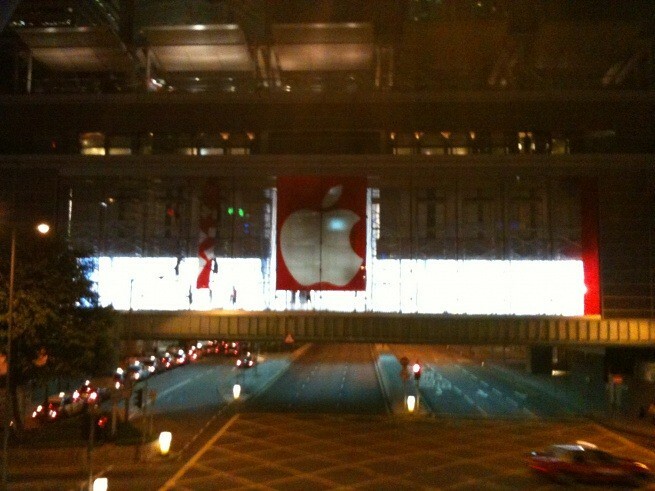 Wraps come off Flagship Hong Kong Apple Store at IFC center Update opens Sept. 24! We’re hearing it is perhaps weeks from being open but this evening you are seeing the enormity of this store in Hong Kong’s IFC shopping complex. That is a four story tall red Apple which spans three lanes of traffic for those measuring at home. Update 2: Engadget has nabbed some higher-resolution pictures. They also say the store opens September 24th!